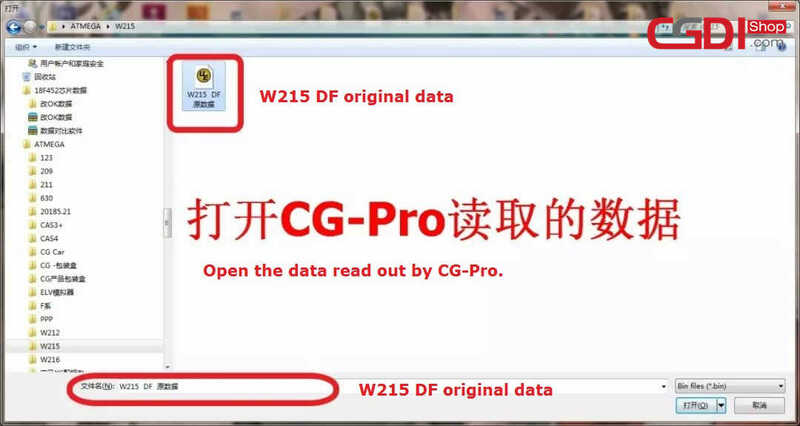 HomeCGDI Test CasesHow does CGDI MB + CG Pro program Benz W215 W220 all keys lost? 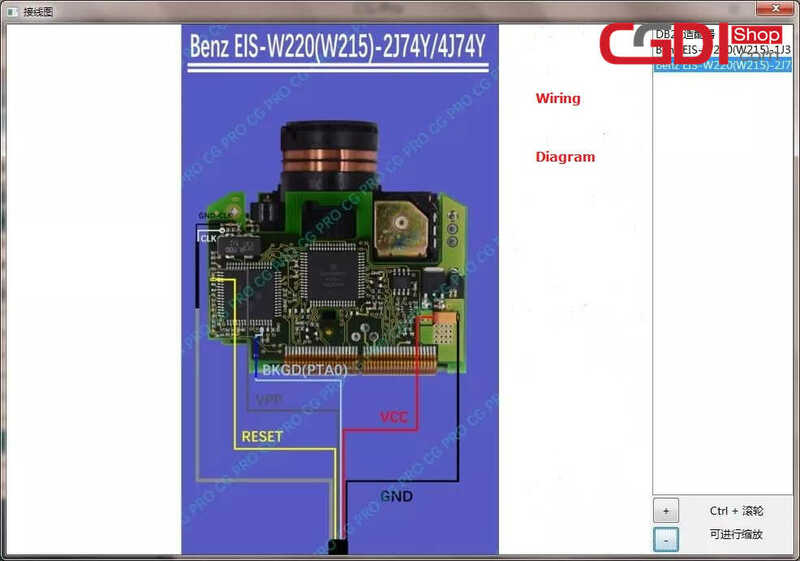 Check the EIS style and the chip type. 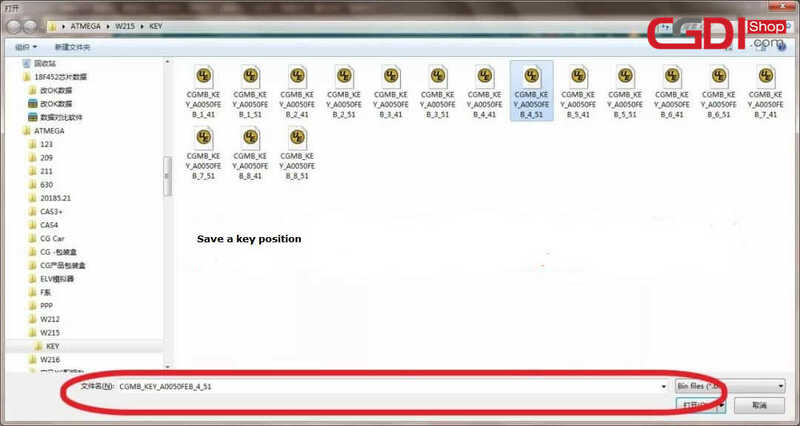 Symptom: Lost all keys, can’t start car. 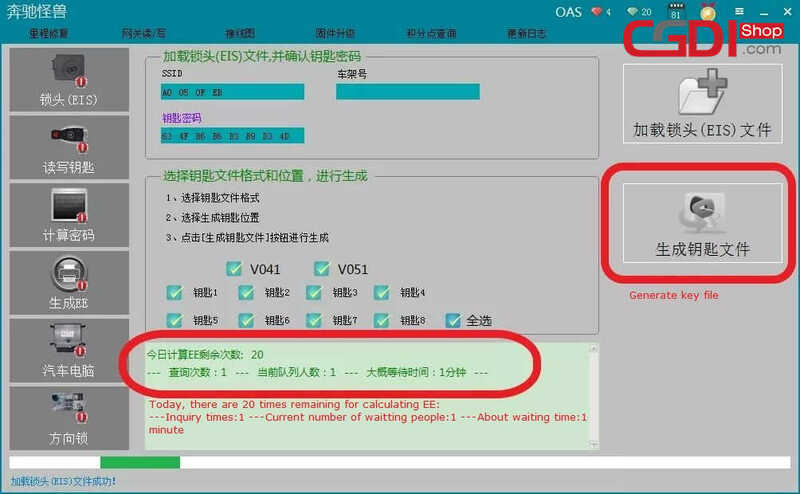 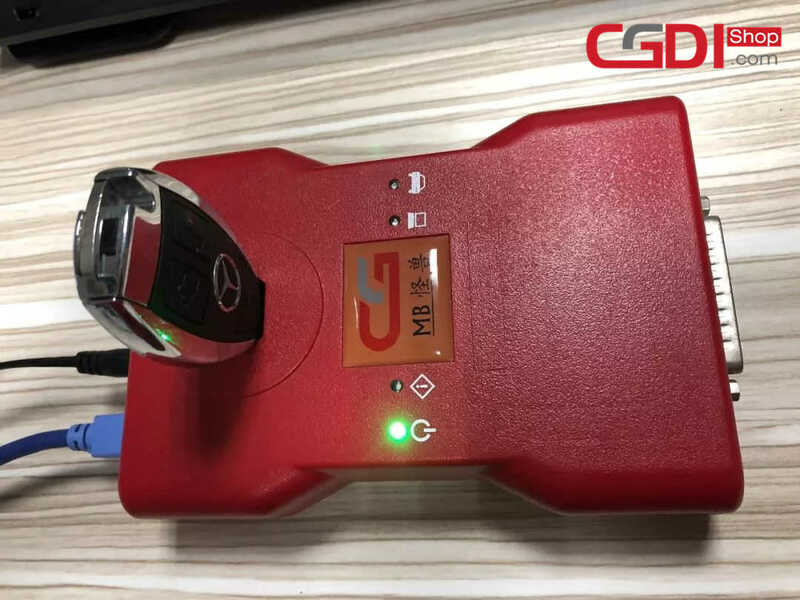 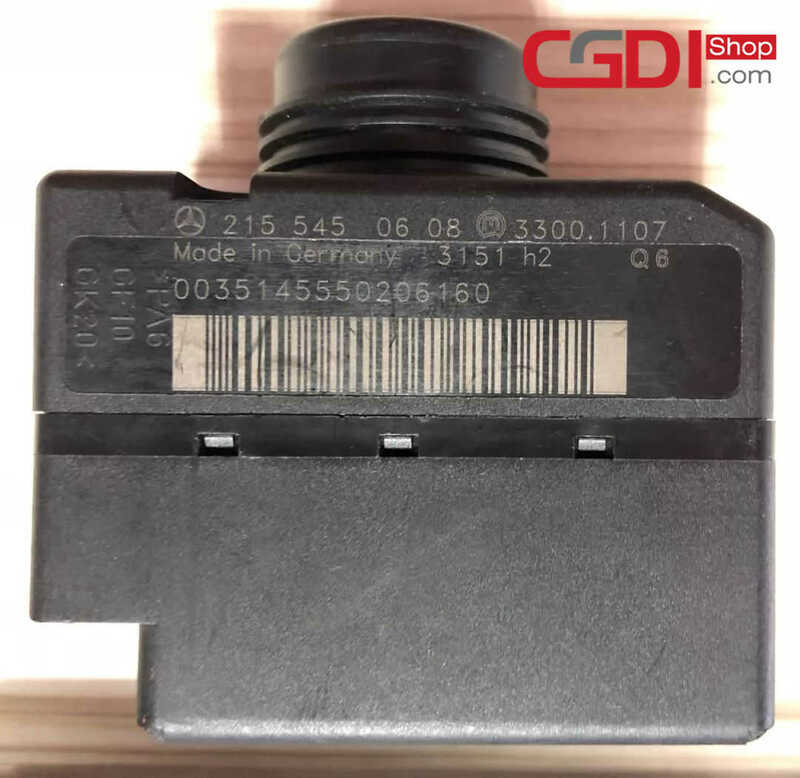 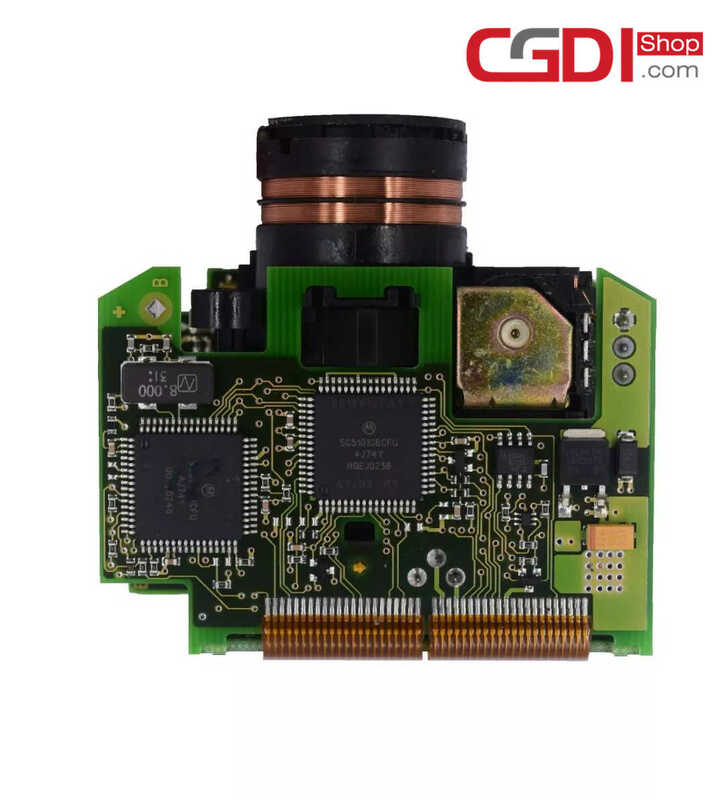 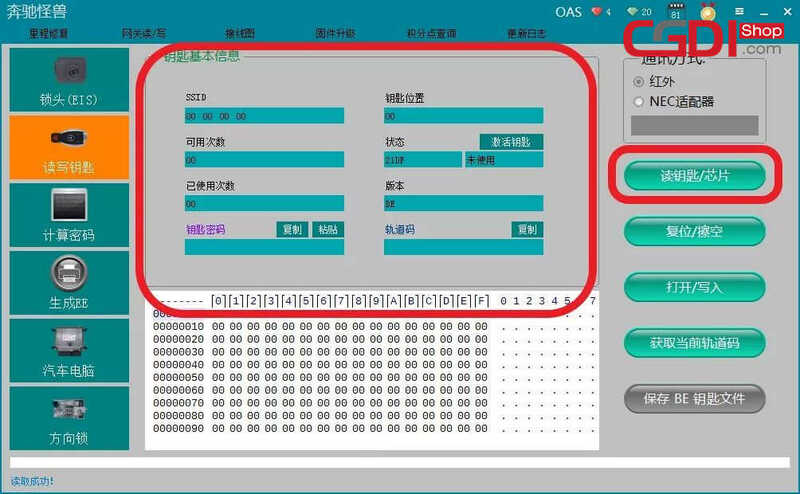 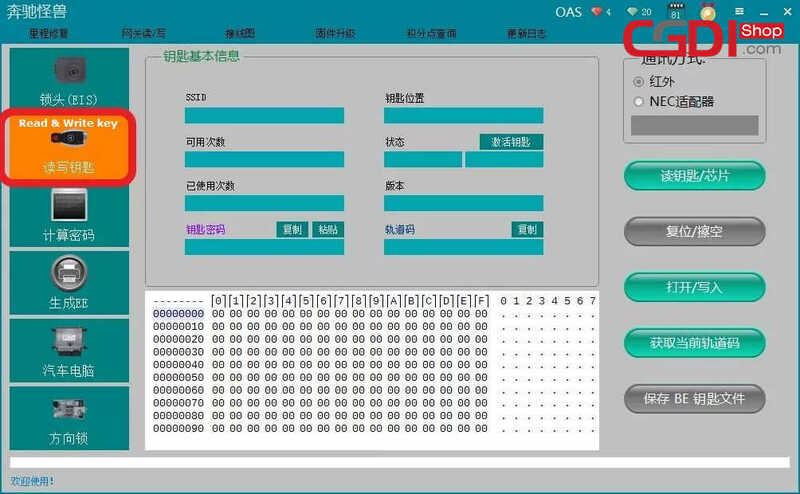 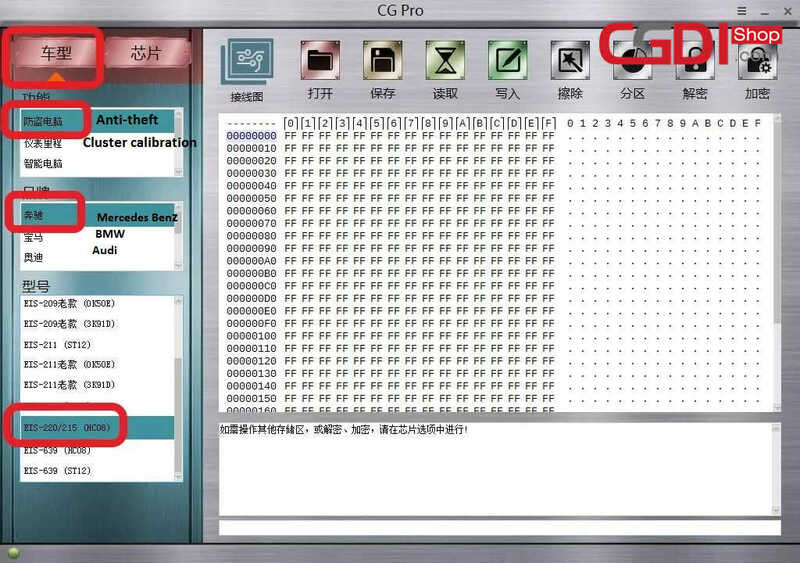 Open CG-Pro software, click on “Benz” -> “Anti-theft” -> “EIS 220/215 (HC08)”, follow the built-in wiring diagram to operate. Confirm the adapters are connected well to the CG Pro, computer and the car, then click on “Read”, save the original data, disconnect the cable and restore to the original. 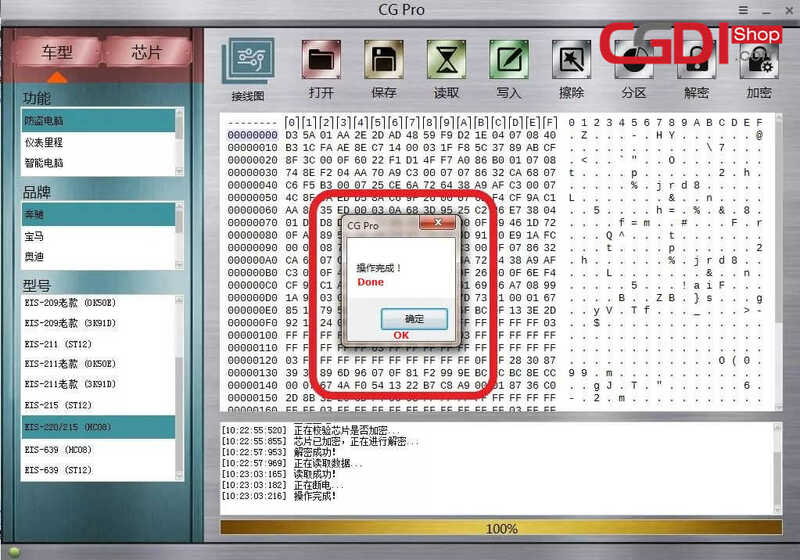 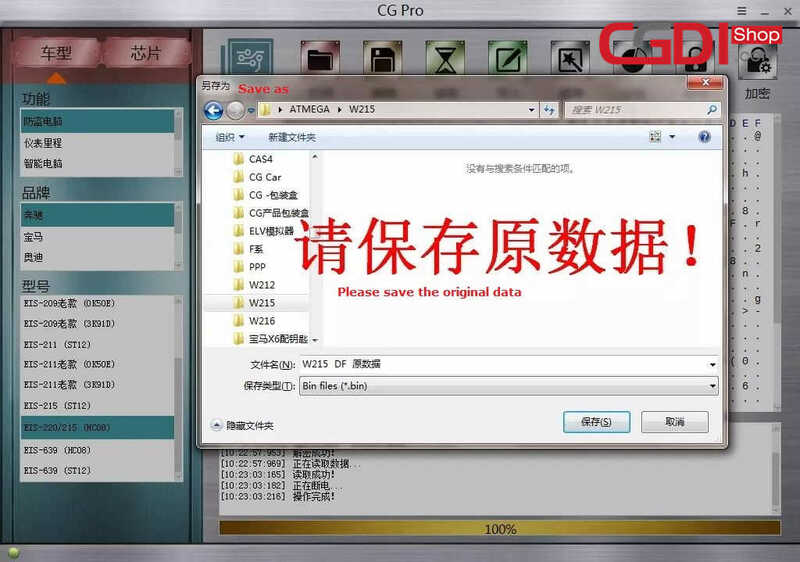 Open CG-MB software, load the data read out by CG-Pro, do not modify the file name and then save. 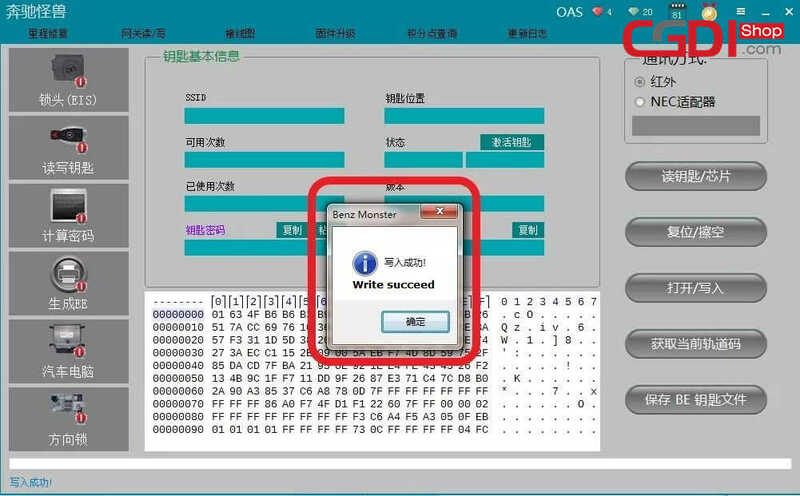 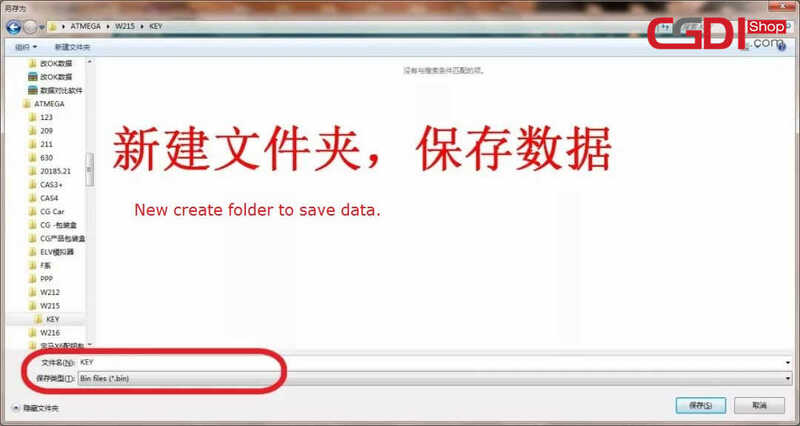 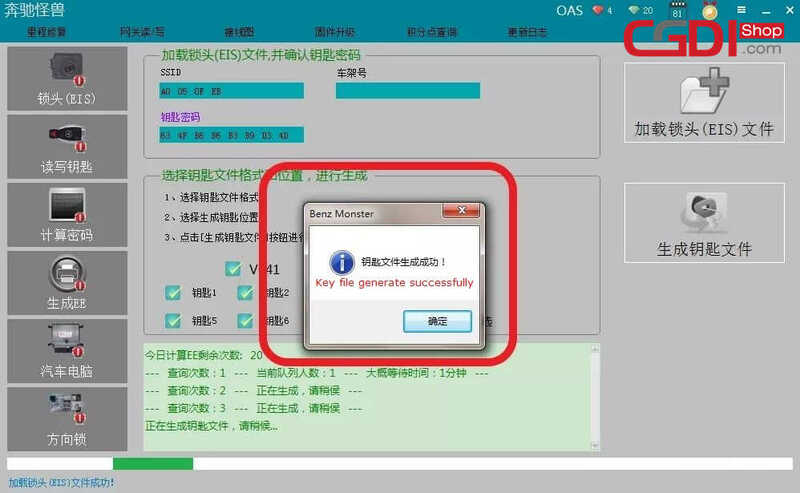 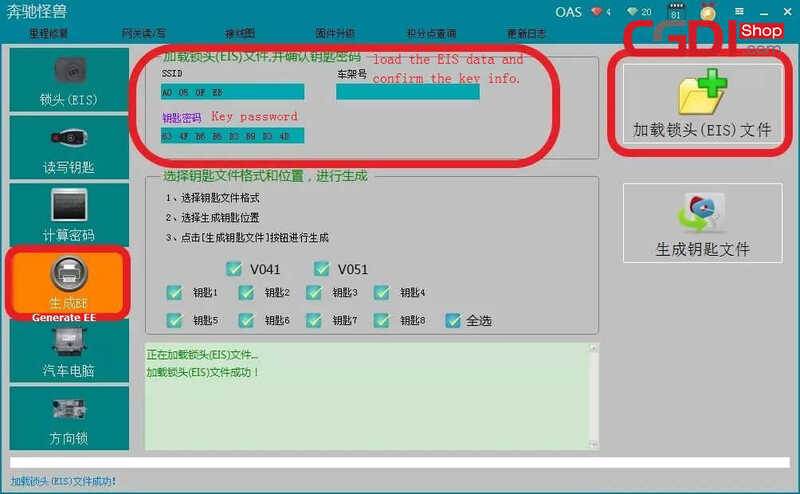 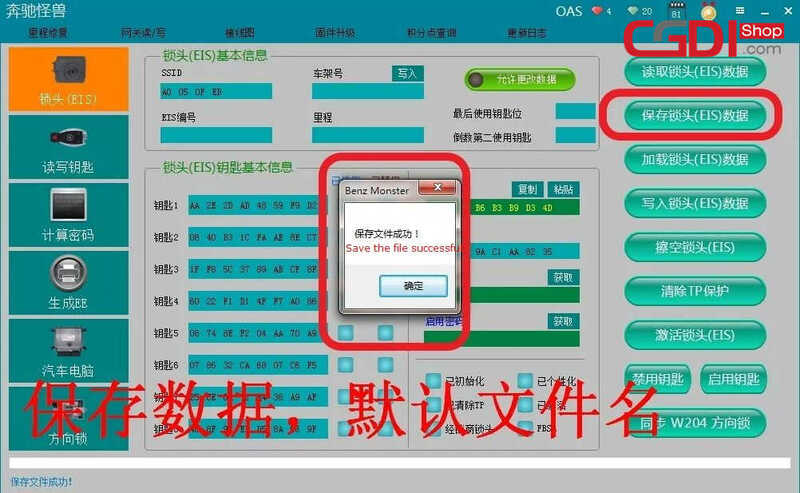 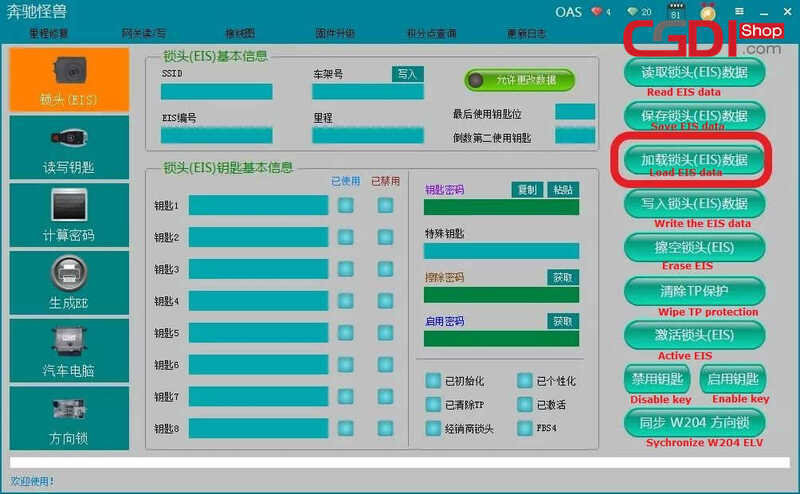 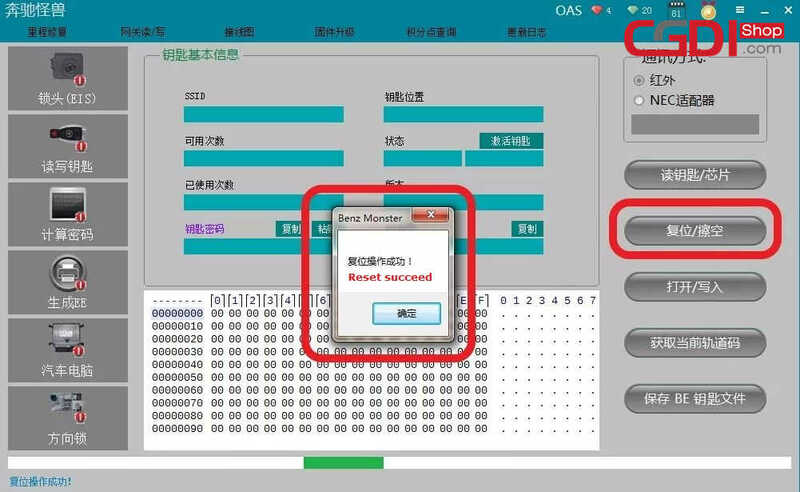 Click on “Generate EE”, load the EIS data that was saved before, check the info is correct, click on “Generate key file”, new create folder to save the data. 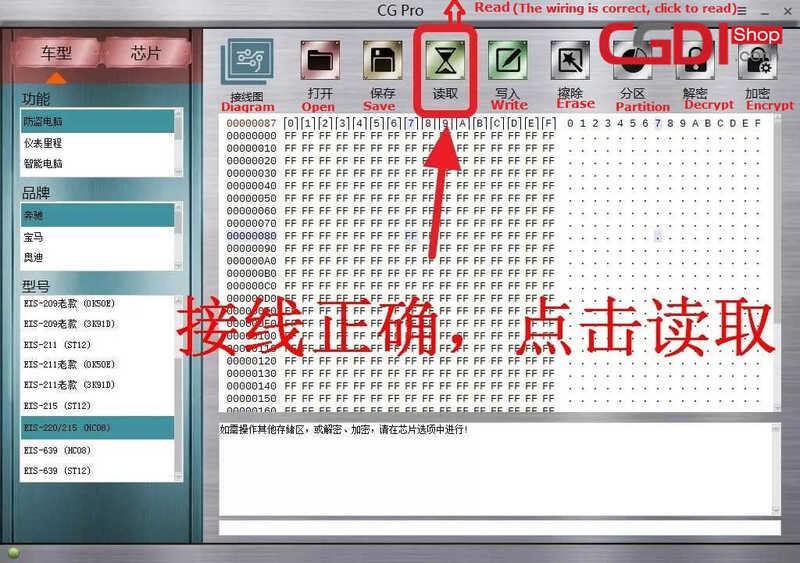 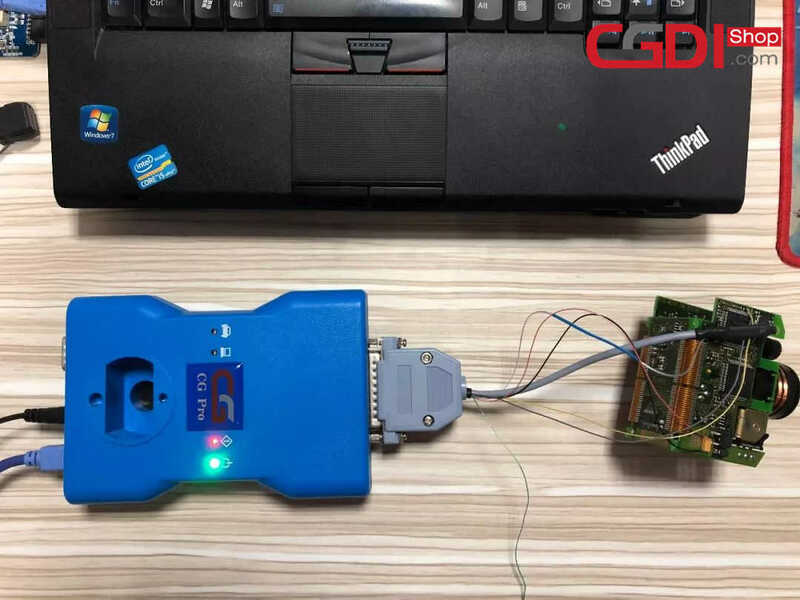 Finally click on “Read & write key”, put the new key into CG-MB device coil, read out the data and erase it. 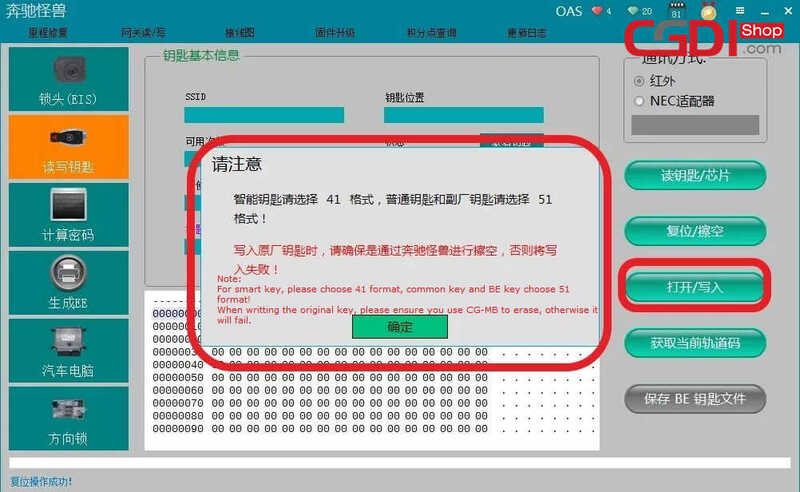 Again open one unused key position key, click on “Write”. 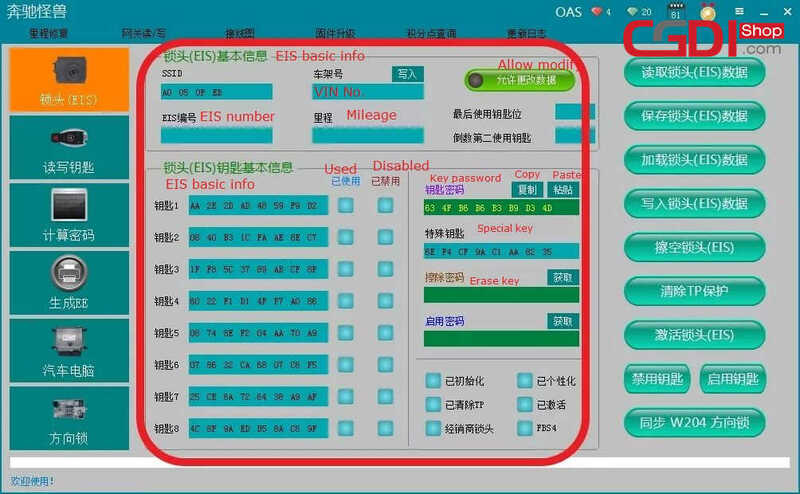 Install EIS back to the car, insert the new key into the EIS, learn key and program key succeed.